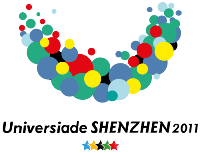 The 2011 Summer Universiade is scheduled to take place from 13th to 22nd August in Shenzhen, Guangdong, China. The southern Chinese city, located directly north of Hong Kong, is a busy port and one of the fastest growing cities in the world. 22 sports will be contested with a total of 306 events. For the first time in the history of the FISU, Universiade is including chess as a sport. Three events – men’s and women’s individual and mixed team competitions will be held on 15-21st August at the Meihua Hall of the Shenzhen Conference and Exhibition Center. Serbia, the host of the 2009 Summer Universiade, immediately embraced the innovation and delegated three chess players among 40 sportsmen. WGM Andjelija Stojanovic, WIM Ljilja Drljevic and IM Nikola Nestorovic will compete in Shenzhen. The 2013 Summer Universiade will be held in Kazan, Russia. The city hosted the Candidate Matches for the FIDE World Championship earlier this year and used the event to promote the Universiade. This connection makes it natural to have chess becoming a regular sport with the FISU.